For those that have ever experienced a winter in central New York, you can certainly understand why a research trip to Santa Catalina Island and the Wrigley Marine Science Center is appealing! Snowbird research! 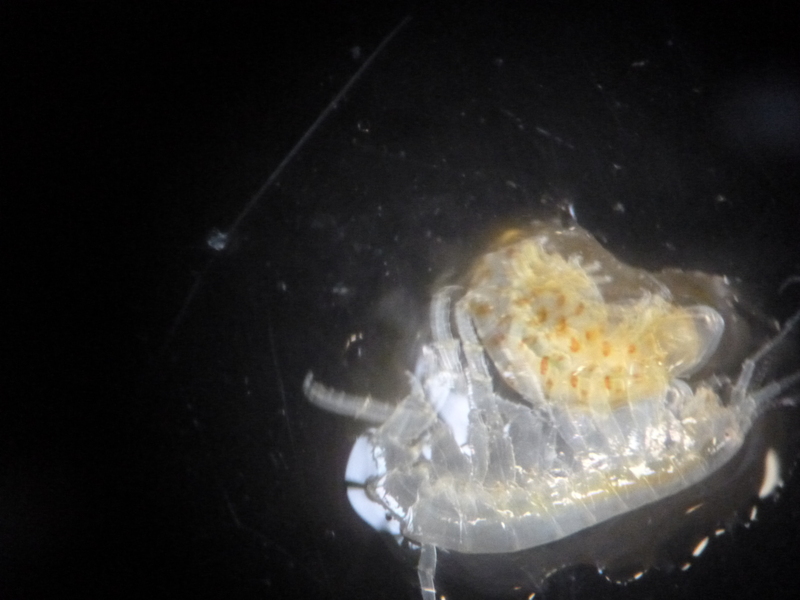 But all for good reason: Part of our new project focuses on the kelp amphipod, Peramphithoe femorata, which inhabits kelp fronds in Southern California. This little studied animal is host to a circovirus, and we want to know how much impact it has on its host ecology and biogeochemistry. 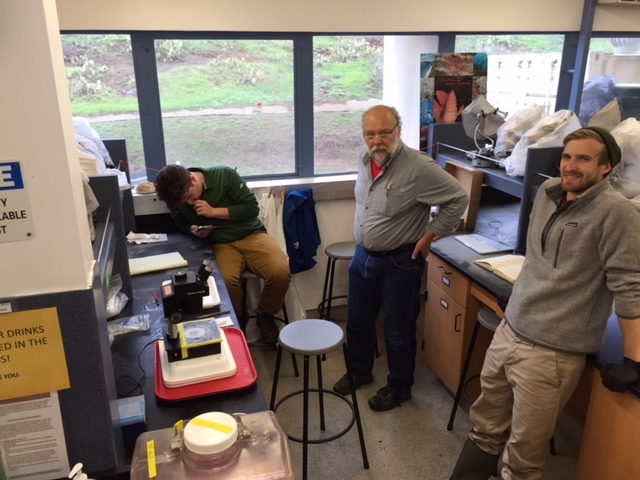 On January 2, the team (comprising Ian, Kalia, Elliot, Jason, and co-PI Lars Rudstam) made their way to Two Harbors and USC’s Wrigley Institute for Environmental Studies to perform analyses and experiments targeting amphipods and other microscopic (and perhaps not so microscopic) crustaceans. Ian’s flight was delayed by 2 days due to a massive snowstorm, while the rest of the team found their way to the island and made some preliminary investigations. There is some history here: Ian did his PhD (2000-2005) at USC and was a TA and researcher at the WMSC for several years. Back in the early 2000s, kelp forests surrounded the island, and he had seen many kelp amphipods during his visits. Indeed, he had been to Wrigley with a colleague, David Needham, in early 2013 to get some preliminary samples for his work. Upon arriving at Wrigley, however, the team were faced with an unexpected problem: There was almost no giant kelp (Macrocystis pyrifera). Evidently, a warmer than usual water mass had settled into the region and led to decline in giant kelp standing stocks. Which meant, of course, that kelp amphipods were almost nowhere to be seen! Kelp off the dock at Wrigley Marine Science Center, February 2013. 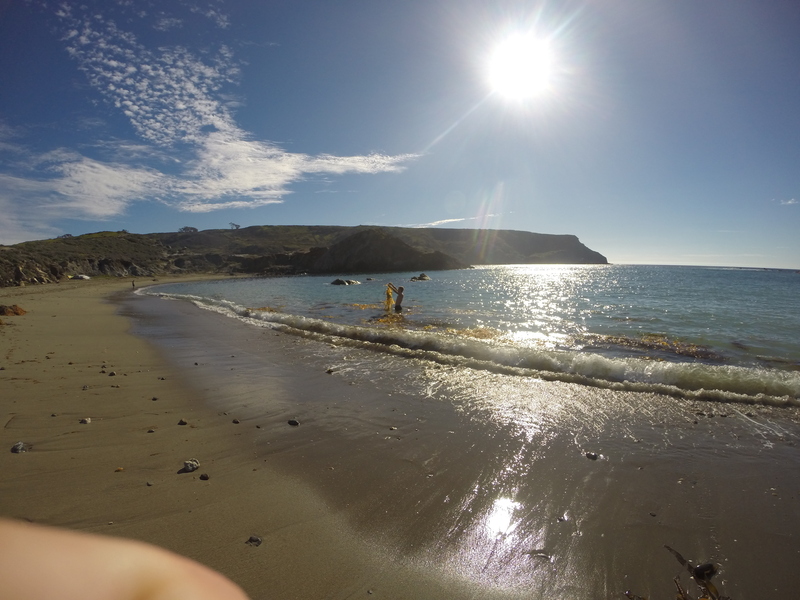 Compare that photo to this video – not much kelp in 2015! 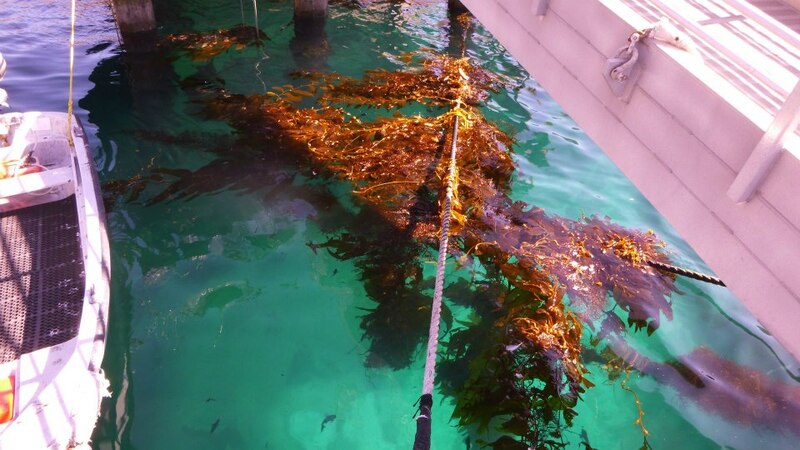 After much searching we did locate kelp floating in the Harbor, but clearly it wasn’t from around Catalina. However, it proved a gold mine for animals: not only was there P. femorata, but there was also abundant Idotea sp (an isopod – one of the few that is significant in marine ecosystems – it is a major degrader of kelps). 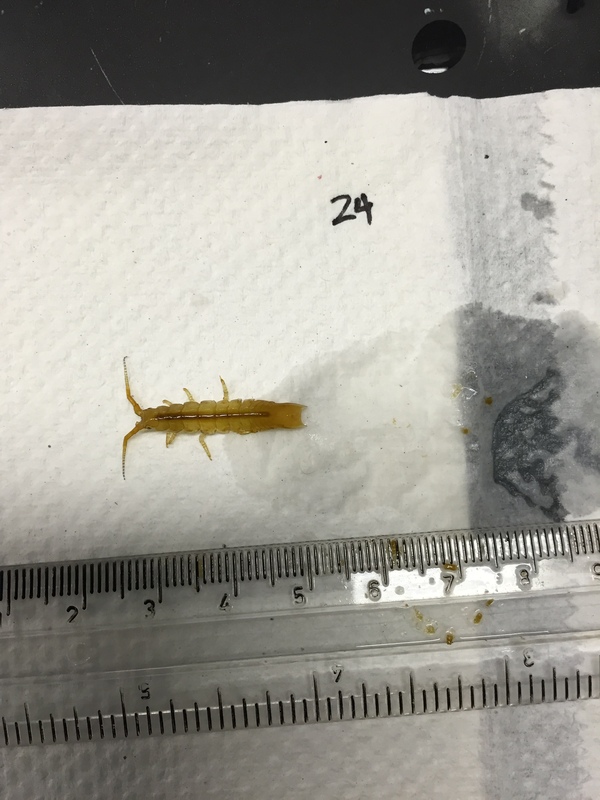 And so our work had to change character a bit – we focused on collecting as many P. femorata as possible, and performed experiments using the isopod as we could obtain sufficient numbers for our work. Can you spot the P. femorata? They’re well camouflaged. 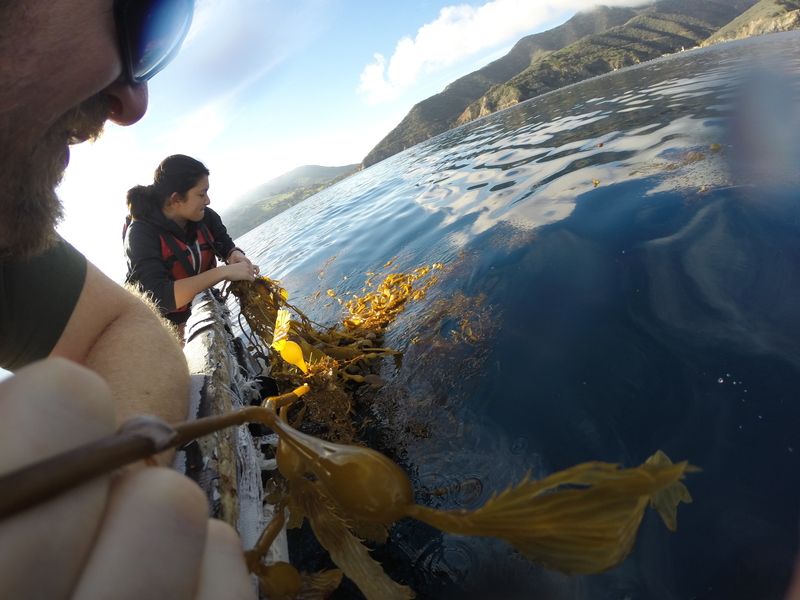 After collecting sufficient animals that would allow us to later perform viral metagenomics (to determine what viruses infected Idotea), we then set about performing grazing experiments, which involved placing small discs of kelp in with the animals and allowing them to graze away for 48 hrs. We then harvested the animals and will later see what their viral load is like, which may or may not relate to the amount of material they actually ate. 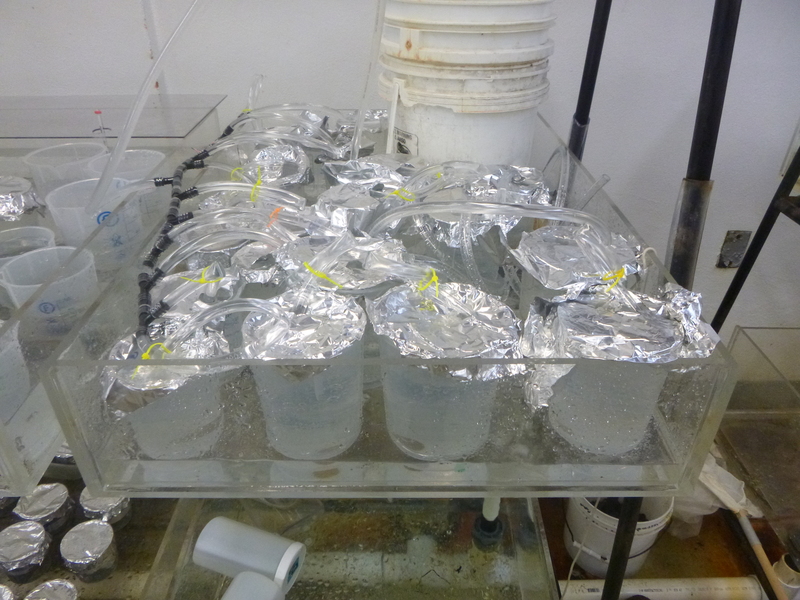 Experimental mesocosms – each container contained a single Idotea sp. and a kelp disc. 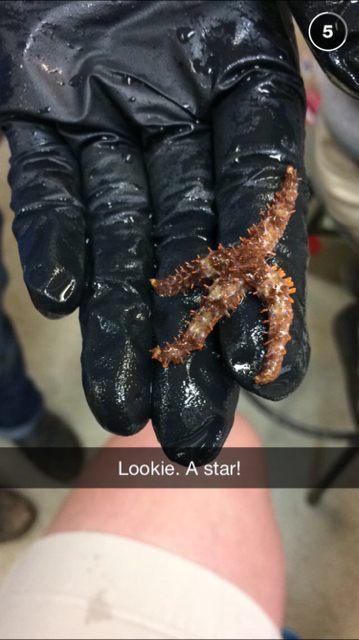 Another part of our work involved observing natural viral prevalence between populations of isopods and amphipods. By ‘population’ we assume that each geographic location is fairly isolated, and the idea is that we will relate overall size and nutritional quality of the animals to their viral prevalence and load. 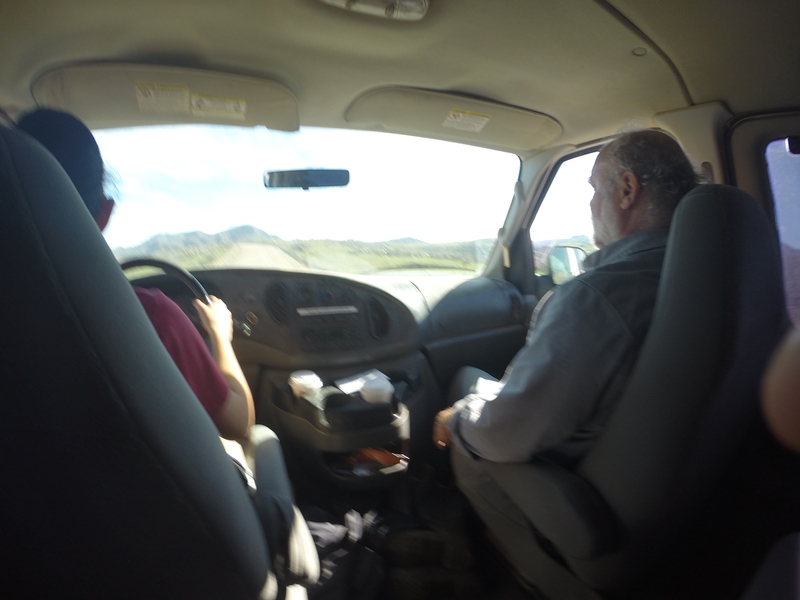 This involved traveling to a few places around the island to sample animals. After a week of research, the team headed home to Ithaca having sampled about 500 crustaceans, performed 12 experiments and with a head full of memories. But not before one last surprise. For the entire time we were out on the Island, we didn’t see any sea stars – they’d been all but wiped out by wasting disease in 2013 – 2014. However, one juvenile Pisaster giganteus appeared on some kelp – a sign perhaps that they may rebound. Click here to see the music video that accompanied this adventure!